Over the course of these past four years of high school at Oldenburg Academy, I have learned many important things that I believe will stick with me throughout my entire life. With it all coming to an end extremely soon, and the stress of finals and graduation buzzing in the air, a moment of reflection and reminiscence has become necessary. If I have learned anything from high school it would be to continually put yourself out there to be seen and heard and not let the fear of rejection hinder your drive to do what you want. I’ve learned also that I am extremely capable of doing many amazing things, and at Oldenburg Academy, those skills and talents we all possess are brought to the fore front and made clear to not only my peers and teachers, but myself. OA has let me shine and be myself every single day. I have never once felt rejected, not good enough or left out, because of the loving and supportive atmosphere here at OA. I feel like the class of 2015 have all grown up together, and have overcome all the hardship that comes with what life throws at a 14 to 18 year old. I am so proud to call myself a (very soon to be) high school graduate. I am even more proud to say I am a member of the family here at Oldenburg Academy, forever. -Julia Cummins, proudly OA Class of 2015. 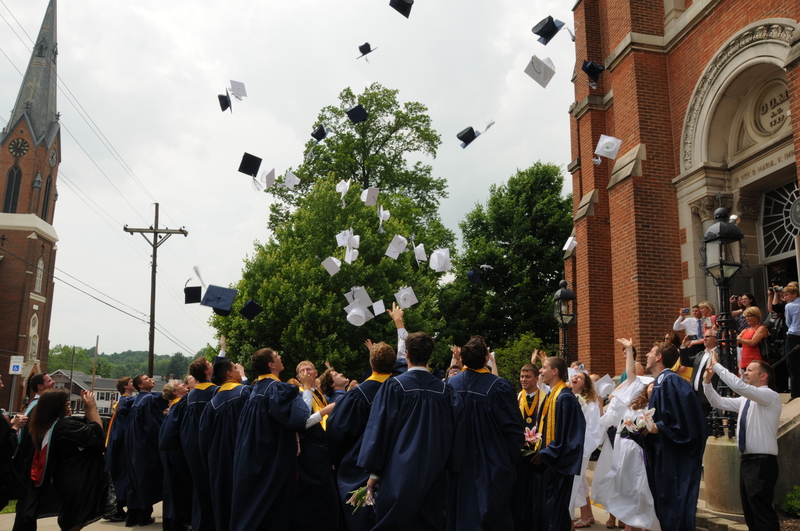 Graduates toss their caps in the air! Check out the Art Show! Tonight I am going to the AP art show that is from 5:00-7:30pm in the ICA hall. I’m really excited because usually senior nights are dedicated to sports only. I’m glad the art students are getting acknowledged for their hard work and get to show off their artwork. At the show you are able to purchase prints of the art pieces and the money goes towards funding the art department. I plan on buying a few of the pieces to bring with me to college in the fall. I think it will be really cool to have art pieces that were created by my friends and classmates. The senior artists include: Ivy Glaser, Luke Roberts, and Emma Schulte. I want to buy a print from each of them. One of my favorite pieces is by Ivy Glaser and it depicts a girl realizing truth and reality. All of the artwork is impressive and I’m glad this night is dedicated to the amazingly talented artists of OA. 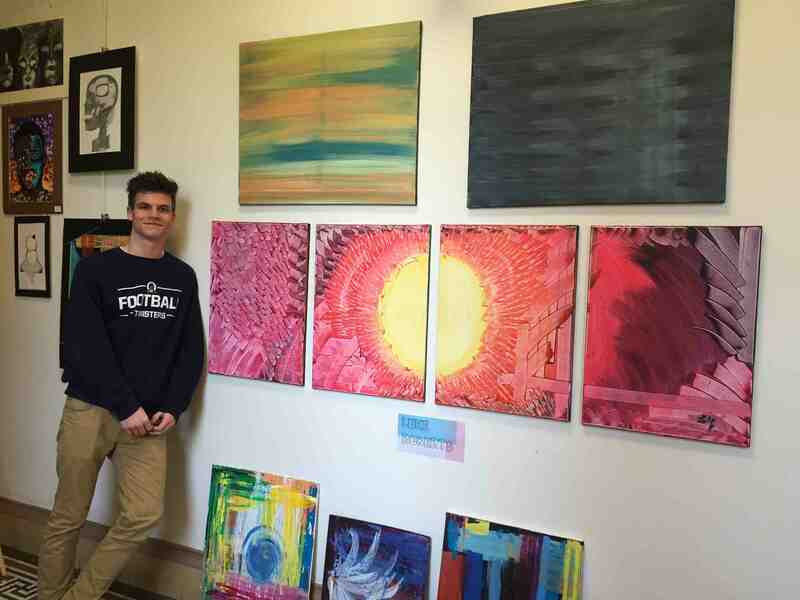 Luke Roberts poses next to his AP Art – Come check out the Art Show in ICA Hall! This Friday and Saturday is the OA Drama Club’s production of Mary Poppins, a fun filled musical for an audience of all ages. Starring Mikaela Fangman and Tyler Wachsmann, this play revolves around Mary Poppins as she cares for the Banks children at No. 17 Cherry Tree Lane. Mary Poppins is practically perfect in every way, and the Banks children suddenly find themselves in a world of magic, wonder, and excitement. Tickets are $7 for adults, $5 for kids, and the show starts at 7:00pm on both nights. The students putting on the play have put out do much time and effort to make this play a possibility (myself included!) and today is finally our dress rehearsal. It’s hard to believe that show night is almost here, and I want to wish the entire cast and stage crew good luck. Here’s to a great performance! 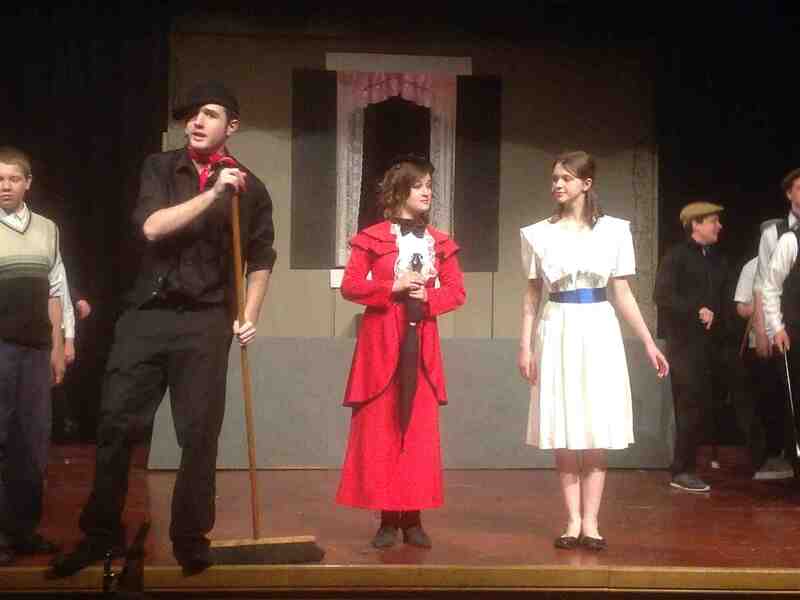 Mary Poppins goes on stage this weekend! As we are approaching the end of our senior year, we are experiencing many of our high school events for the last time. One of these events was spring break. 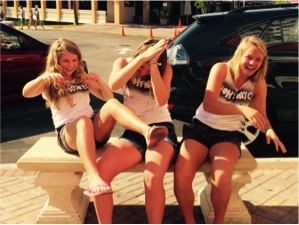 For the spring break of my senior year I went to Marco Island, Florida with some of my best friends. Sadly, not all of my friends were able to come with us due to prior arrangements but we all still had fun. While we were at Marco Island, we spent lots of time at the beach swimming. The ocean was perfect for us. We built sand castles and searched for shells. The weather was perfect all week, except for our last day there it rained. We spent time shopping and checking out the different towns nearby. This spring break was definitely one for the books and one of the memories I will never forget. I had so much fun with my friends and am looking forward to all the upcoming events to end my senior year the best way possible. The memories we are making now are the ones that mean the most and that is why this year’s spring break was so much fun. Ivy Glaser, Ella Lamping, and I are all showing off our matching shirts and pretending to swim away from the shark while our parents were shopping. and student base. It has become one of my favorite times of the year. Not only because I play on the girls basketball team, but also because I absolutely love watching and cheering the boys on. from new speakers, score tables, equipment, and the biggest; the new gym floor. Even though our gym isn’t the biggest or most grand gym, I wouldn’t trade playing in it for anywhere else. That gym has become a sort of home away from home for me. I am a three sport athlete, and with summer open gyms and practices until 7:30 at night, that gym has a special place in my heart that I won’t ever forget. A lot of blood, sweat, and tears (and I’m speaking literally here) have been shed on that floor. Friday night is going to be bitter sweet for me, but I’m excited to begin our sectional journey! 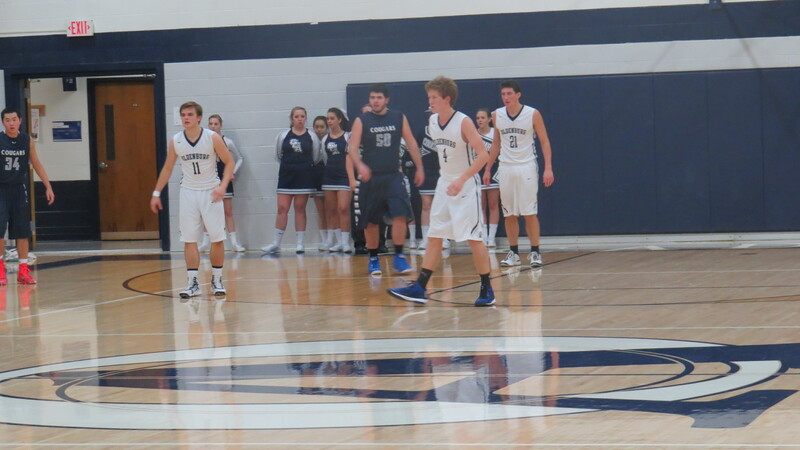 Last weekend was a big game for the Oldenburg Twister Boys Basketball team. Friday night they took on Greenwood Christian Academy in hopes of breaking the school record for the longest win streak. The game was neck and neck for the longest time until third quarter the boys came out ready to send the Cougars home with their tails in between their legs. The excitement of the game got the student section on their feet and very rowdy. The encouragement from the fans really helped the Twisters boys have confidence in their shots as they drained many three pointers in a row. Leading the scoring for the Twisters was Matt Moorman and Matty Hurm. Senior forward, Ted Geis, “I am pumped we increased our record to 12 and 2.” With the the Twisters tough defense and phenomenal coaching my Mr. Gary “Ace” Moorman they walked off the court defeating the Cougars 64 to 43. Come out support the Twisters January, 31st at Oldenburg for the Homecoming game. students, faculty and staff are all excited to see what those are.